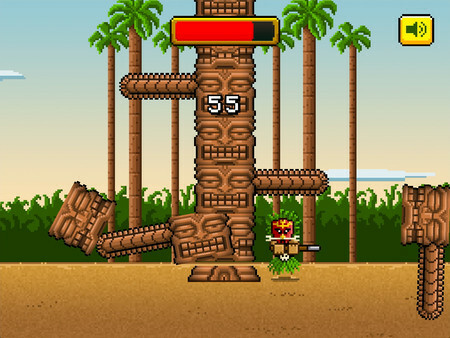 Harness the legendary powers of the Tiki Man by chopping down the world´s tallest tiki. 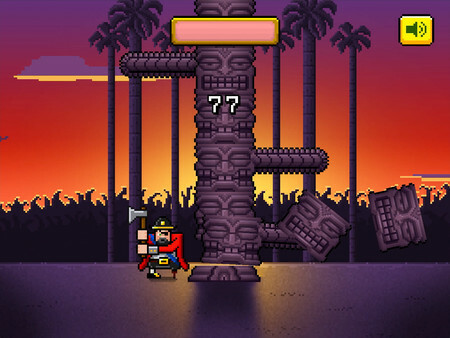 Chop the tiki faces and avoid the hazardous tiki arms. Sounds easy? Think again my friend. 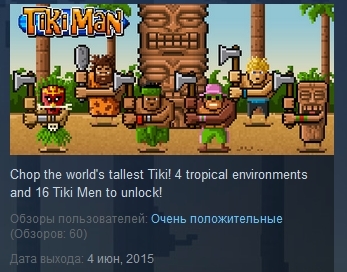 4 luscious tropical environments and 16 Tiki Men to unlock. 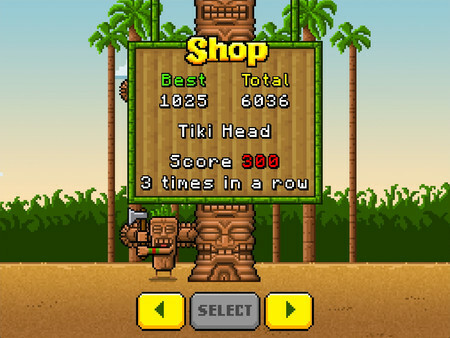 Master your tiki chopping skills to earn high scores. Take the axe and chop the tiki as fast a you can!